"Great customer service and tech support"
I am still new to cloud FAX so I cannot speak for the product itself (yet; although I can already say I like the dashboard quite a lot), but I can definitely speak for the great support that I got. Santiago answered my IM quickly and Alex P. was great and helped me setting up the account in no time. I feel like the user profile should have been populated with sensible defaults (like company name and number association, which I did provide when signing up) from the very beginning, instead I had to contact support. Although, given the nature of the service, I can see why it is maybe a good idea to go through "humans" for the initial setup. Anyway, Santiago answered my IM instantly and put me in contact with Alex P., which helped me and in 5 minutes I had all the missing information filled in. I need fax for some official communication and I do not have a phone line at my office. The connection between me and the customer is so gooood! There is no static line or choppy connection (unless its my internet who's acting up or its the customer's line). All the things that you need for a phone line is in Nextiva! Voicemail was set up, Transfer option, Conference call available. Multiple calls. Hey, what more can I ask for? Being our main phone line amazing as Nextiva helps us assist more customers and provide the best customer service for the customers, that way we are gaining their trust and we have loyal customers. "Good desktop app, glitchy cell phone app "
I like the ability to have the app on my cell phone, since I work remote and don't have a normal desk phone. I also like the ability to chat with colleagues on the desktop app and be able to access the same chat on my cell phone. I can walk around my house with my cell phone and be notified when I receive a call and can return to my desk. I can also turn on Do Not Disturb from the cell phone app, as well as the desktop app. Notifications are instant. I can see and hear a call coming through from the desktop app, as well as my cell phone. Extremely hard to connect a headset to the softphone on the desktop with the app. Very glitchy cell phone app - won't accept a call directly after I end one; it'll freeze up and close the app. Also, the audio changes to my cell phone notifications while I have a call on hold and I'll have to re-select the bluetooth option when I return to the app to pick up the call. Works best with a desk phone and the desktop app for the chat services - mobile app needs some work. Working remotely, I don't have face-to-face access to my colleagues and with the business i'm in (automotive insurance claims), I need to be able to communicate with them while i'm on a call. Having the chat capabilities is very helpful for this. I like that this system can be set up to use on the go. If I'm waiting for a call, I can still go get my lunch, without missing the call. It also comes in handy when your whole system at work goes down! You can still work from home without missing important calls. It doesn't have many cons. I don't enjoy the chat system associated with NextOS because it is not as user friendly as other software. This software is super user friendly. Employees will enjoy having easy access to voicemails, chat, and other nice features. This is a very dependable service. We have never had a crash with it and have been using it for years. Its a great system overall. It can be used for multiple different things. I know our receptionist really enjoys using Nextiva for transferring our calls. I love using Nextiva for answering and managing my voicemails. I can also use my internet to look up missed calls which is nice because I don't really have to search far for a phone number if it is not left in a voicemail. It gets the job done for sure! Well done Nextiva, keep up the good work. "Helpful Support Team For Phone Services"
I like the online support forum and being able to speak to someone directly when I need assistance. I also like the call groups and auto attendant features part of the system. It is also a huge benefit to be able to upload pre-recorded audio files for the voicemail instead of having to record on the spot on my phone. I have not used multiple phone software programs so I do not know what I could compare it against. I wouldn't recommend shopping around though because I'm satisfied with the product as it is and have not felt the need to look for another software myself. I have new calls get directed to ring to the best sales agents and if they are unable to answer after two rings it then redirects to ring everyone's phones in the office. Plus, the voicemail setup is great because I can have prompts for people to select 1 to leave a message 2- to hear specials currently offering etc. Nextiva is easy to navigate but if you get stuck or domt have the time to configure something, their support is unparalleled to any company I've ever dealt with. They will walk you through it or do it for you. The only thing I cant think of that was a negative for me was the process to change the credit card you are billing to. Again, i just used their chat support and it was explained. Cost effective with great support! I never miss a sales call. The app installs on my phone and I can tell if it's personal or business by the greeting when I answer. "Great for Sales Staff Working Multiple Locations"
I love how it can go where you go, whether you are at the office with a desk phone, or on the go using a mobile device or laptop. Using with Polycom phone can be somewhat frustrating at times, but this could be a phone issue, not Nextiva. Train them on how to use this, the call forwarding settings, and the mobile app. It's frustrating if your staff does not know how to use this when they are out of the office, especially if they have never used something like Nextiva before. Mobile salesforce (traveling) does not miss calls and chats. 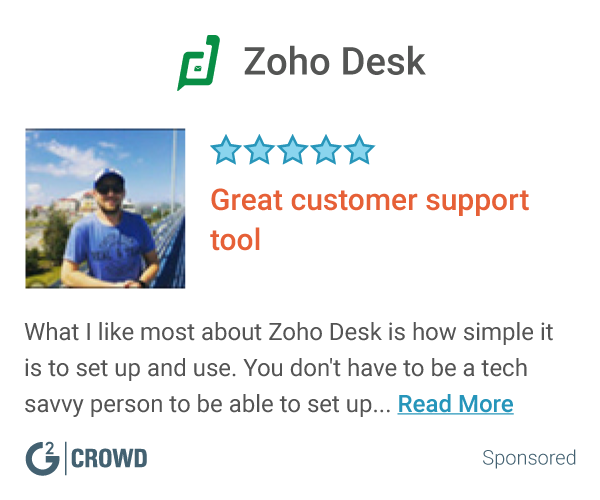 "Has generally worked smoothly after a few setup issues"
I like the smooth call quality and ability to connect just about anywhere and get call information and voice messages through a cloud-based network. I also like that we can check voice messages through emails. The training to use Nextiva is generally straightforward. Not too many people have problems when on-boarding with Nextiva. The customer support at Nextiva was a bit complicated to deal with at the beginning. The support staff didn't always have consistent information regarding servicing of our account. As far as the software itself, there hasn't been too much for me to complain about personally. You should make sure that the Nextiva support person you talk to understands your issues and particular setup as much as possible so that the support person in your next call is properly updated and can help you more effectively. Nextiva has worked well to streamline our overall customer communications ability. Using a centralized communications system through VoIP helps us to connect with CRM and other customer-related data platforms. Nextiva usually has very good call quality and the pricing allows us to save money on our overall communications costs. "Great Feature of a Great Product "
Definitely something to consider adding. We monitor these stats daily & it opens the door to question staff when they are doing too much on phones or too little. It's great to be able to compare progress & productivity. Occasionally our stats will be slightly off. We can't really determine why -- considering that maybe it's because some of our agents are in other time zones so maybe their call ranges are on their time zones? There are a TON of benefits though -- it's great to be able to measure the number of inbound, outbound, & talk time of call agents to make sure everyone is pulling their weight and to understand when someone can't complete their other work b/c they are too busy on phones. "Finally everything in one place!" Before NextOS we had information in various platforms and we didn’t have a good view of the customer, and the history of interactions. With NextOS we can really see what is happening on both the granular level and at a high level so we can take action on an organizational level too. We now have a global view of the customer and this is great because we can empower our service staff to take actions to resolve issues, improving our service because they have all the details at their fingertips. This is helping us better serve our customers and work on what we do best. A lot is lost when you can’t offer your customer service team a full picture of the customer. It’s hugely beneficial. We have no complaints so far; we’ve only been live for a short period though. We’re really happy we made the switch over – it’s working great now we’re up and running. Recommendations to others considering the product: Make sure you understand your business work flows and then work hand in hand with the Nextiva team to get NextOS configured right for you. There are various ways you can use it depending on your organizational needs, staffing, and customer interaction. Had a question about how to upload a new Auto Attendant in the Nextiva Portal today. Alex P was VERY helpful via our Online Chat Conversation. He took me step-by-step on how to compress my .wav file, upload my file and confirm it was working successfully. Thanks for having Alex P as part of the Nextiva support team. He's a ROCK STAR! Not sure what I dislike yet as we are still in the beginning phases of using the portal. Best part about VoIP is that our company does not need a receptionist in the office. "The best way to organize a company's High Volume calls "
If you do not have a phone system where you can IM and see the status of your team this is worth a try for sure. We’re plugging our gaps, removing inefficiencies and growing considerably as a result. There have been so many benefits but ultimately it’s been about maximizing what we have and we’re now best equip to do this with everything we have coming out of NextOS. It’s made our team a lot happier too as there are less system based frustrations. NextOS was also an easy transition as the training was really robust and everyone was able to get up to speed fast. No one can hide now. It’s not a bad thing but it means there were a number of hard conversations in the early day’s post launch as we uncovered some hard truths. Our whole way of working has shifted, we are much more responsive, and adaptable than we have ever been as an organization. We were pushed forward in this way due to the level of actionable data we got from the NextOS platform. It’s a huge benefit to be given this view and the resulting data and insights. You can’t argue with the facts and it forces progress for the organization. It’s only a good thing in today’s climate, where if you get complacent then you’re going to lose the competitive edge. Make sure you have the right people in place, adaptable, change-positive, problem solvers. Once you’re live there is going to a period of transition and learning as you adapt into a new way of working. It’s good, but it’s not going to be comfortable for everyone. "Great support and instruction, Igor took as long as I needed to help me understand and fix the issue"
igor Dovganych went above and beyond what I would consider customer service. He not only assisted in answering questions and getting me connected. He spent time and worked with me so that I would have a better working knowledge of the system and how to make changes. The system is a little intimidating from a setup point of view, but customer service does help in that department, so really not a dislike, it works in your favor. You can't go wrong with Nextiva. I have used other systems and they work, but administratively this one is easier to change. The self-service capabilities need improvemen. Every small change i had to call them. Their support was so good, it was easier to just call them and have them make the changes in the configuration. Great product, easy to setup and a great team to work with! Nextiva makes it simple to manage large call centers and streamline high volumes of calls into complex business set ups. Nothing, it’s a great tool! We were slow to make a decision but the Nextiva team did everything to help us launch quickly and make a smooth transition. Make sure you understand what you need. Nextiva will be able to help but the better you understand your own business requirements, the better they can help you. We were trying to upgrade from an old system. We didn’t have any of the new features that we knew would be helpful for streamlining communications and making sure that we were serving our customers as best we could. I think the biggest benefit has been efficiencies on the side of our call center. We have been able to automate lots of our manual work and that’s hugely helpful. It’s just much smarter than it was before. Alex P. did a wonderful job of helping me with my on hold MP3. He was quick and polite and even waiting for me while I took care of a client. There is nothing to dislike about Nextiva. I love having the extra phone lines without paying extra. Nextiva is an awesome VOIP company. 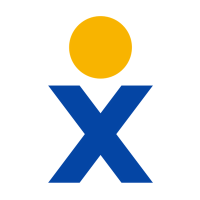 Nextiva has the best package offering for VoIP services on the market today. It’s got all the features and functionality your business could ever need and it’s all at a great price. That we didn’t make the move sooner. We wasted so much time with our old antiquated provider. Get ready for a significant improvement. Make sure your team are ready to onboard and make it a quick switch over. If you drag it out, then it only makes it painful. Take the short-term hit and make a clean switch between your old system and the new one. Communication is key. If there are problems with your internal or external communications, then it’s a major problem. VoIP is one step to solving those problems. "Easy to understand and learn"
The ease of this survey system is great. We switch from Survey Monkey and we have a much more comprehensive set up that allows us to launch surveys easily and gather customer insights without hassle. The set up price was more than we were expecting but the functionality and customization is important to us so it’s worth it. Make sure you understand what you’re signing on for. This is all about gathering data and taking action. If you’re not ready to change then there isn’t much point gathering this information. The tool is geared towards responsive, customer-centric organizations. We are learning more quickly than ever about how to improve our customer experience. Just making it easier for them to share feedback is helpful in resolving issues. We have a lot of CX problems so this is something we need to focus on. "Keeping a tab on our customers"
We are really benefiting from the improved connection to our customers. The survey tool is so easy to use we are getting more responses and less drop off than ever before. The implementation of the new system took a little longer than expected. Otherwise, no complaints from us. If gathering customer feedback is critical to your business then this is a good choice. It’s been great for our business insights process. We wanted to be able to make it as easy as possible for our clients to feedback to us what their experience was like. We are really impressed with the system Nextiva has created for doing this. "The perfect customization for our organizations needs"
The best thing about Nextiva is the ability to customize their products for exactly what your organization needs. They do it with components and configuration to ensure you have all the parts you need and they are integrated and working together like a machine. There are really smart systems. In NextOS then AI is helping you understanding your numbers so you act and change things as needed to improve your business and drive growth. For us they are finding things our analysts have never seen before. The cost. We didn’t want to spend quite so much on our previous system but we did decide it was a worthy investment and would pay off over the long term. The products from Nextiva are great, but it is their service which really makes them stand out. It’s very easy to get in touch with their support team, and they have multiple ways to talk to them (phone call, email, chat etc.). They have a lot of support videos too, so our team can watch those to upskill themselves if required. Their pricing is very cost effective (we are on their VoIP system and their cloud based) and we actually saved money by upgrading our systems which is usually unheard of. We were replacing at least two maybe three systems and this was the best option both in features and cost. It was a no-brainer. I like that you can link your work phone to your personal phone through their App OS. It helps when I work remotely as I am in sales. This also helps me with tracking call logs and activity. I dislike the conference room feature. Its a bit limited and confusing in its functionality. When I have used it over webex, users generally have been confused in how to get logged in and share their screens. Also it seems that the link that you get to log into the room is for the chat room feature. this helps my team have a virtual phone system. It also helps us the collaborate when we are not using webex. It helps management track activity based calling across employees on the sales team. We are more efficient than ever before. We’re learning faster and making the right pivots fast. The only reason we can do this is we have the data to feel confident in our decisions and know exactly what our next step is. The set up was a complicated process. It’s not surprising due to the complexity and comprehensiveness of the tools, however, we did have to get our team up to speed before we could make progress and decisions to ensure we had the right set up in place. What benefits have you realized? We needed to better understand our business, the growth engine and the opportunities. This tool allows us to do that. "Fax for the 21st century"
It’s much easier to get the information and documentation where and when we need it. Our process has significantly improved and this is a better experience for our clients too. We are now looking at how else we need to streamline our process. It’s a good thing overall but all this change is a lot of work and cost. This system is an easy first step but it will mean you end up considering changes across the organization as it’s clear how streamlining can benefit. Get ready for it. What benefits have you realized? We are now able to process a new client in real time. It’s super-fast now and that means the rate of sales is on the rise as we’ve taken a burden off our sales team. Really liked their approach of going above and beyond to fix my concerns.. Very happy with every one in your support team but special recognition goes expecially to Ivan Demyda. Wish I had more time to give very long detailed review. Ivan did not give up with my concerns and made sure that he called and called and repeatedly did so until my concerns were resolved.. I commend him on his positive gesture that he showed today.. Nextiva is fortunate to have such quality talent in your team..
none. Nextiva is fortunate to have such quality talent in your team..
Start up company using nextiva for the initial set up.. will be adding additional lines in future. I like that fact that it is a simple download on your desktop and or cell and you can have all calls directly forwarded to you for business. Plus they link up with different apps where you push on a number in salesforce and it will automatically start calling the client. Also, the call mapping is great too. You can build a small or large infrastructure for multiple employees. I dislike the conference calling for the fact it is not user friendly and getting everyone on the line is just difficult. It saves a massive amount of money on a full internal phone system that requires a lot of bandwidth and servers. "A great system for a remote workforce"
The team are really finding the analytics and insights beneficial, and we’re closing a lot more sales as a result. Nothing major really, bringing the ongoing price down would be great! Consider NextOS if you’re looking for a business intelligence system. Look at the competition too and you’ll quickly see this is the best tool out there for a remote work force. We are sealing up holes in our sales process by identifying and keeping up with warm leads better than ever before. This has a real bottom line benefit for our business. "Getting Better, but still has customer service issues. " The contact system allows reasonably fast info lookups for team members such as their extension or email. Please give consideration to Slack and Teams, at least for your live chat needs. For VoiP, it’s a tougher thing to find alternatives, but please do. Very few. Recently, our team members have begun using Microsoft Teams for their own purposes and only retaining Nextica because it is attached to our work phone numbers. "Moving quickly and closing sales"
We are able to get the right paperwork to the right people without the technology barrier. Each client is different so our system had to adapt to ensure we could serve their unique needs. If you’re still operating with a paper heavy process then this is a good way to start to streamline and organize towards digitalization. It ensures you can operate in the way your customers need. If this is s current issue for your business, then Nextiva vFax is a good solution. We had to streamline our document process, we also have signed up for Nextiva Drive so not only are we able to gather and distribute documents more easily but also the storage is hooked right in. Business communication along the distance with no issues. Alex P kept me informed during the chat what was going on (if there was a long pause, I did not have to wonder)! Music on hold files are very small. We would like to be able to have a rotating music selection. Remote office convenience; we never miss a call and customer service is MUCH better than our local phone provider!! "Zachary Kalko never lets me down"
I seem to always get the same group of people and they are all always amazing. Zachary Never fails me. He always is ready to assist and offers very knowledgeable help. Thank you all so much and take care of the amazing asset!! Hold times can be a little long but hey thats anywhere you call. Everything from resetting phones to in depth debugging of major systems. There is not a question i have asked that hasn't been answered, even if its not the answer I wanted. Easy to use and good customer service. I believe it is also HIPAA compliant. Nothing against the company, but Im not sure why people still use fax. We are getting fax services for free because we have purchased phone service with Nextiva. If your company is still using a fax machine, I would make the switch. Being able to receive fax via email. "Nextiva is an adequate VOiP Tool "
Ease of use, quick install, can sync it up to use at home, at work, and on mobile with different extensions for everyone in the office. Intermittent service--sometimes it would not ring and/or would drop calls. Poor IOS app and voicemail. Constant inbound / outbound calling from Sales, Customer Success, and Support Teams. Nextiva is efficient and easy to use on site and/or remotely. "GREAT Customer Support by Alex P"
Alex, was extremely patient with me and very knowledgeable with the product. We are forming a in-house Telemarketing department. Good support from Oleg K. Very solid system for our business. Can be a little complicated to setup on your own. Do chat support. Ask for Oleg K! Setting up multiple lines under 1 number. Got it done though! I love that I can work anywhere in the US and not miss a customer call. Integration with my computer (ctrl + shift+ c) to call highlighted numbers. Occassionally doesn't ring until picked up. I wonder sometimes if this is for certain cell phones and not a NextOS issue. Constant calling in a sales role. Easier and efficient to use for lots of calls. The system is not as user friendly as you would like it to be, lots of hiccups. Calls not answered are automatically sent to VM not to the next available agent. We use both soft phones and hard phones, sound quality is usually good, service is reliable, tech support is good and usually very responsive. Difficult interface, hard to setup Autoattendant and routing, it would be nice to have a drag/drop flow chart. I like the Customer Service CRM. It has great potential. Not all features are available yet. It has taken a very long time between announcement and release. Would like to get more out of my UCaaS services. "Simply the best VoiP service"
Nothing so far, my only complaint is from a marketing standpoint, I wasn't sure they would be a fit for our company. But we were mostly sold after the first demo. I've communicated these issues with our rep.
Telephony, call center, and reporting. Easy VOIP set up that allows calling from desk phone and mobile device. Calls drop often. No easy way to listen to voicemails on a mobile device. Thanks for sharing your feedback. We’re sorry to hear about the difficulty you’re experiencing with calls dropping and listening to voicemails on your mobile device. We’d love to get in touch with you to help, but first we’ll need your contact info. Could you please email hello@nextiva.com with either your account number or phone number so we can be in touch? Thanks! I like the easy access and the straightforward dashboard, as well as the customer service offered. I do not believe that the page we use is very pleasing to the eye. I enjoy that all of my faces are received digitally and I don’t have to worry about wasted paper. Faxes can be easily missed if your settings aren’t correct. Nextivia vFax allows my small business to cut costs and paper and printing ink. Excellent service ... Adam Manasse was awesome during implementation. Switching from traditional phone service to internet based service is going to unfamiliar territory. Cost savings, more flexible phone service, better physical phones. * We monitor all Nextiva reviews to prevent fraudulent reviews and keep review quality high. We do not post reviews by company employees or direct competitors. Validated reviews require the user to submit a screenshot of the product containing their user ID, in order to verify a user is an actual user of the product. Hi there! Are you looking to implement a solution like Nextiva?